© 2017 Elite Design Landscape - All Rights Reserved. 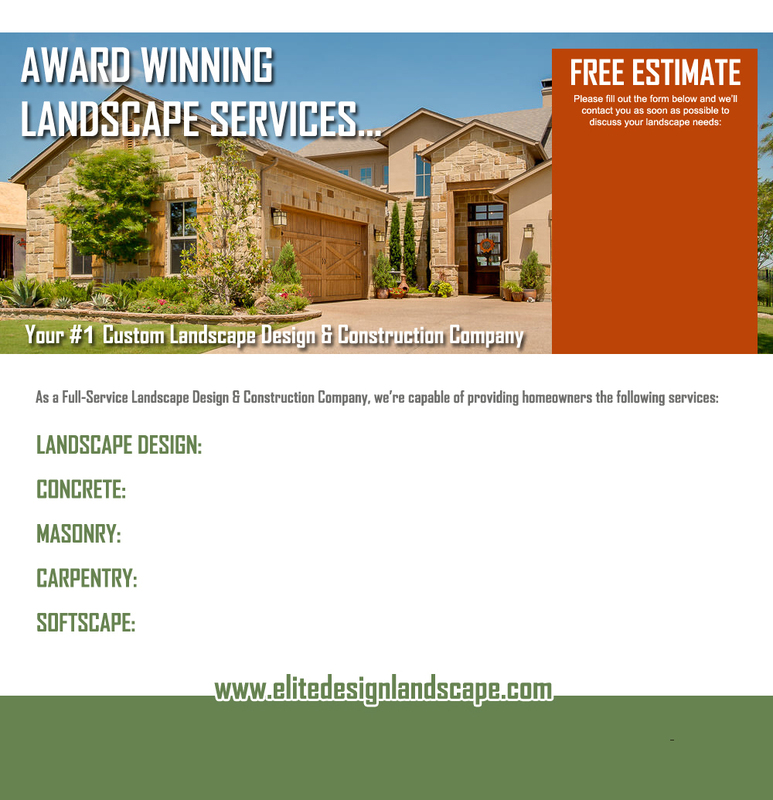 Elite Design Landscape is the exclusive owner of all images, logos and graphics on this website. No images, logos or graphics from this website may be copied or retransmitted in any way without the express written permission of Elite Design Landscape. Concrete Patios, Driveways, Pool Decks, Walkways, Retaining Walls, Culverts & Head Walls, Stamped & Colored Concrete and much more! Retaining Walls, Stone Patios, Fireplaces, Firepits, Planter Walls, Outdoor Kitchens, BBQ Islands, Mailboxes and much more! As the most important element of a Landscape Project, we're experts at creating Beautiful Designs to fit any Budget! Covered Patios, Pavilions, Pergolas, Arbors, Trellises, Fences, Gates and much more! Plants, Trees, Sod, Mulch, Automatic Irrigation Systems, Drainage Systems, French Drains, Low Voltage Lighting much more!